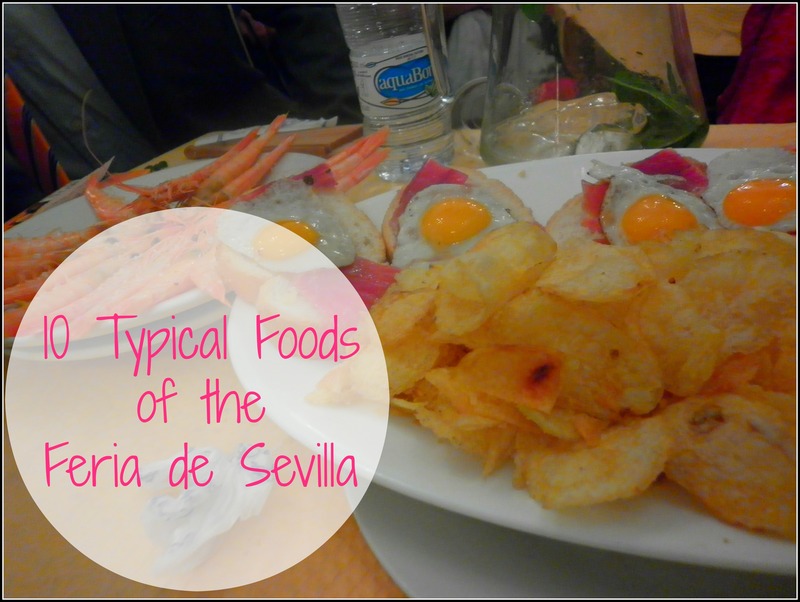 I’ll just say it right away – sevillanos do not flock to the Real de la Feria for good eats. 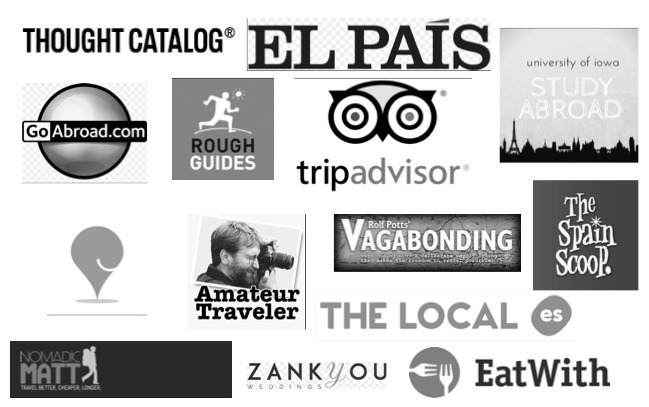 In a week dedicated to drinking and dancing, food is often an afterthought and sure to make a dent in your wallet faster than a new traje de gitana or registration for your horse carriage. 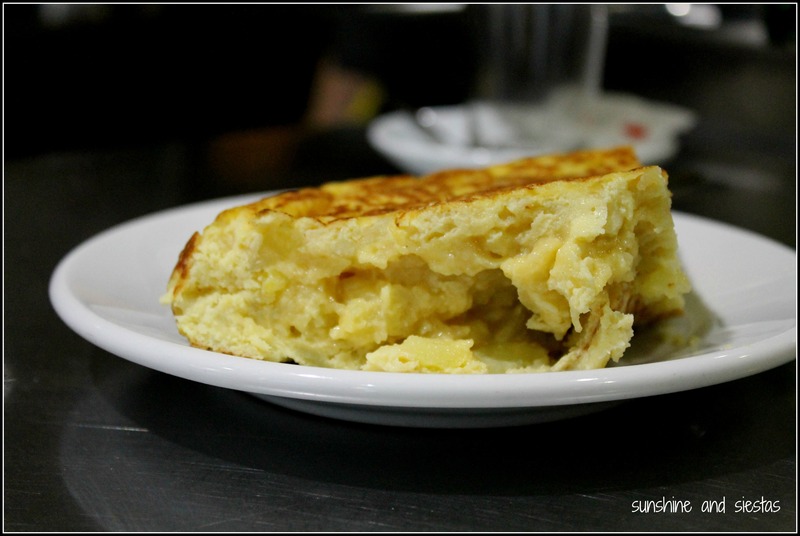 If the fair is a celebration of Andalusian culture, its most typical foods are regional dishes. From meats to fish to creamy salmorejo, eating at the fair means chowing down on hearty dishes synonymous with Southern cuisine. The fair officially kicks off with a dinner amongst caseta members, called el pecaíto (peck-eye-ee-toe). Traditionally beginning at 9pm on Monday and ending when the main gate is lit at midnight, fried fish is served. For the rest of the week, you can find friend cuttlefish, monkfish, baby squid and other seafood like shrimp on menus. It’s no wonder I always come home reeking like overused olive oil. The bullfighting season in Seville reaches a fever pitch during the festivities, with big names in the taurino world squaring off against horned opponents during daily afternoon faenas. Each part of the beast is then used for something. Among one of Seville’s star dishes is cola de toro, or stewed bull’s tail. The tender meat is served still on the bone and with vegetables, often over fried potatoes. If you splurge on one thing at the fair that isn’t jamón, let it be bull tail. 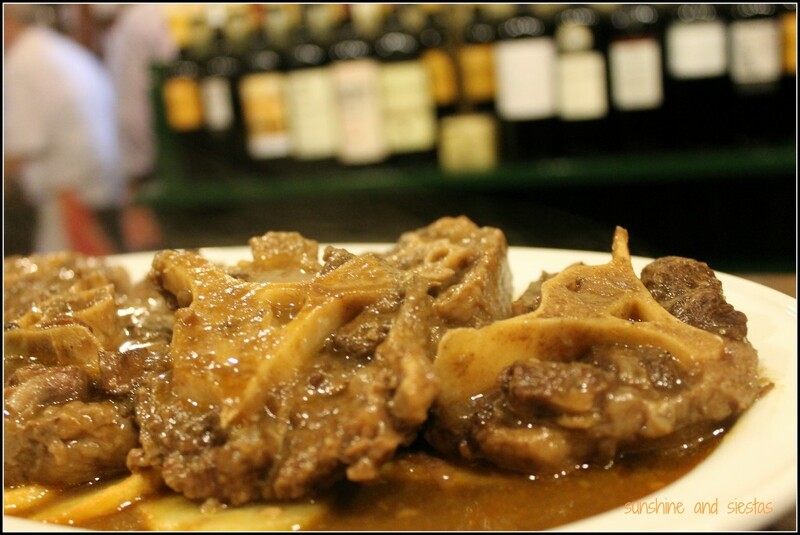 A dish for the less adventurous, solomillo is a versatile cut of meat from the part of a pig between the lower ribs and the spine. Usually served with a sauce, whisky and garlic is one of the most common ways to serve it. Pro tip: grab some bread and make a sandwich, or mop up the left over oil. When the economic crisis hit in 2008, Cruzcampo capitalized on a phenomenal marketing opportunity by turning a sour note into a moment to enjoy sharing food with friends (and a hilarious sevillana). 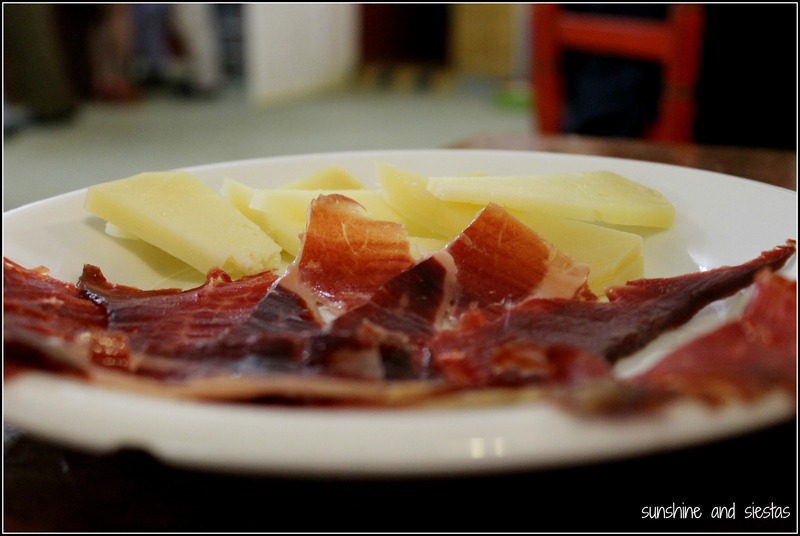 Jamón may be delicious, but it’s not wallet-friendly. In all of my years in the recinto ferial, I’ve learned a few things about where and what to eat, and how to save money – one year, I even brought a turkey sandwich in my purse and, embarrassed, scarfed it down in the bathroom! I will usually eat one big midday meal at the fair, preferring to eat at home to save money, though the bars will serve food in the wee hours of the morning when you’ve had too much rebujito. 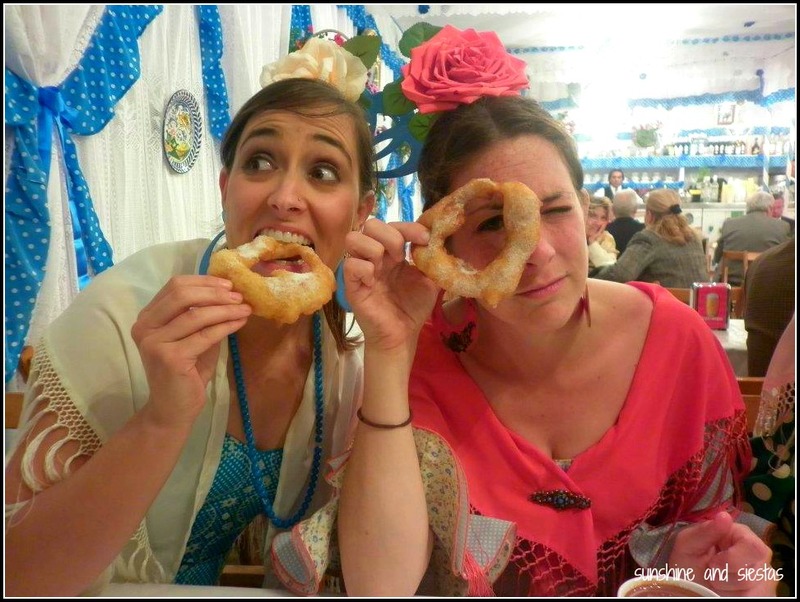 It’s also not uncommon to see people eating at restaurants in the area in full Feria garb! This warm broth is not only a cheap way to load up on calories during a binge, but local lore says it will also help you coat your stomach to keep drinking. The broth is made from the drippings of pringá meat – blood sausage, chorizo, chicken thigh, a salted bone, lard and morcillo de vaca – with a hint of peppermint. Spain’s most universal dish is served all around the fair, often for 5€ or so. It’s easy to eat, pairs well with bread and is a good choice for vegetarians, as it’s made of egg, potato and salt, and often has onions or peppers mixed in. A tortilla lover’s condiment of choice is mayonnaise, which is usually available in individual packets. 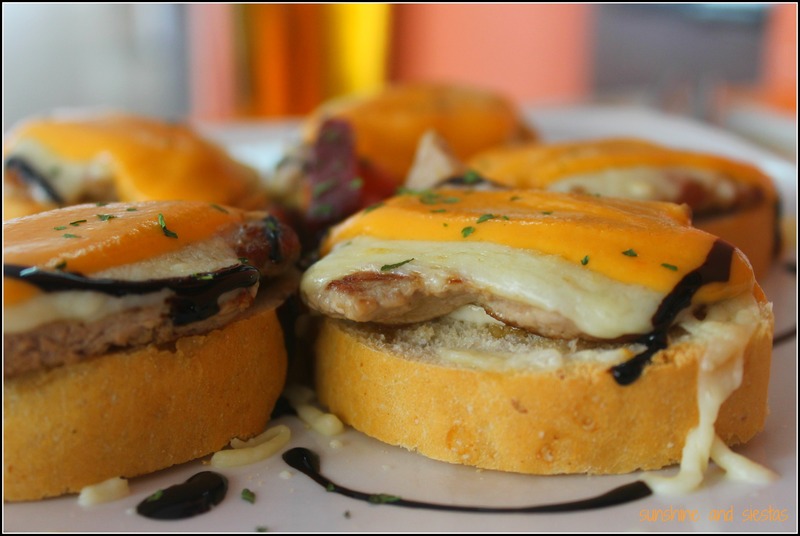 A budget lover’s go-to food at the fair are small sandwiches, montaditos, and meat skewers, or pinchitos. Available for about 1.50 – 2€, you can fill up on pork loin sandwiches and pork or chicken skewers. This will leave you with more money to ride the attractions at Calle del Infierno or invite your friends to another round – the Feria de Sevilla is all about appearances, after all. Once you’ve had your fill of savory foods, head to the periphery of the recinto ferial for a cheap dessert. There are sweets stalls standing just outside of the fairground limits, and on the western edge you can find Calle del Infierno, an area dedicated to sugary goodies and rickety looking amusement park rides, ferris wheels and game booths. I’d just suggest going on the rides before consuming a questionable waffle or plate of churros. There’s nothing better than gooey, fried doughy foods in the middle of the night. Buñuelos are small dough balls with a chocolate, caramel or jelly sauce, whereas churros are long rods of dough that get dipped in hot chocolate. Apart from the sevillanas music and horse carriages, a staple of the fair is the gypsy family who serves up hundreds of buñuelos an hour, just under the main gate. Even the most presumptious of sevillanos get their sweet fix there, so it’s a prime place for people watching! Gummy, sugary candies are classified as chucerías, and they come in every imaginable size, shape and flavor. Check out the long ‘chuche brooms’ that are nearly a meter long and challenge yourself to eat one on your walk home. 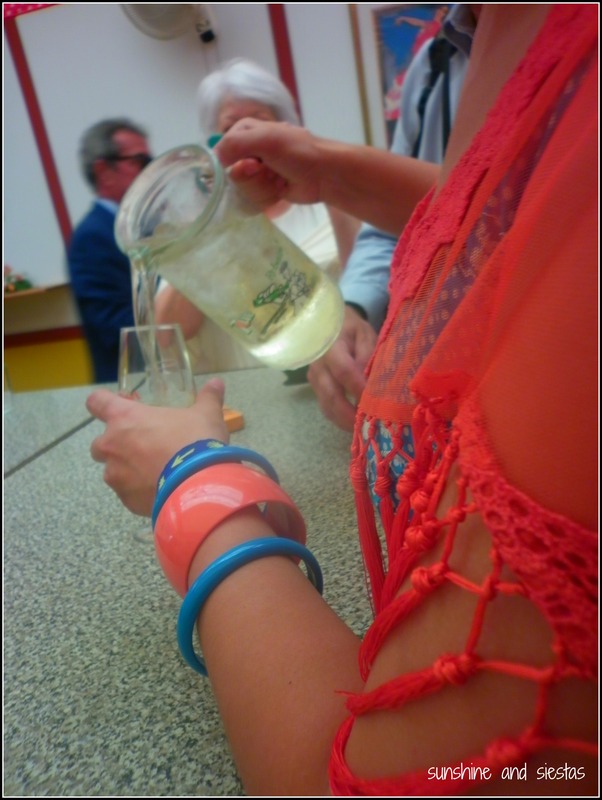 Drinking is a central part of any Andalusian fair, with special drinks taking center stage. 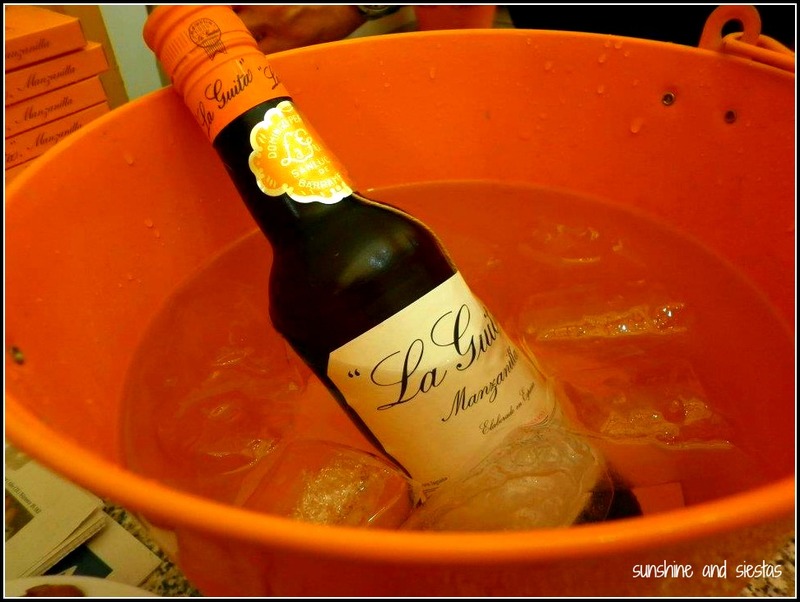 You can still get your standard beer, wine, soft drinks and coffee, though sherry wine is drank by the bucketful (and I mean literally – 1/2 liter bottles are served in a bucket full of ice!). The April Fair has its origins in the livestock trade, though I like to believe it gave locals a good chance to imbibe in sherry wine of the fino sort. Palomino grapes lend a dry flavor to this beverage, which is produced in the Sherry Triangle of Jerez de la Frontera, El Puero de Santa María and Sanlúcar la Barrameda. Sherry is an acquired taste for many, with fino being a dry taste and a pale appearance, whereas manzanilla is a bit sweeter and darker. When you ask for a bottle at the Feria, you’ll be served a half liter in a bucket of ice and will be asked how many small glasses you’d like. Sherry is meant to be sipped. If you’re looking for a way to take the bite out of the sherry, mix half a liter with two cans of 7-Up and add ice, and you’ve got rebujito. This drink is crisp, refreshing…and more potent than it looks! A ‘jarra’ of rebujito is about 8-10 euros and served with small plastic glasses. Though it looks like a shot, it’s meant to be sipped and you should probably share it with an amigo. Again, this drink is toxic in large quantities, so you’d do well to order a few montaditos or a tortilla long with it! Have you ever been to an Andalusian fair? What are your favorite eats? 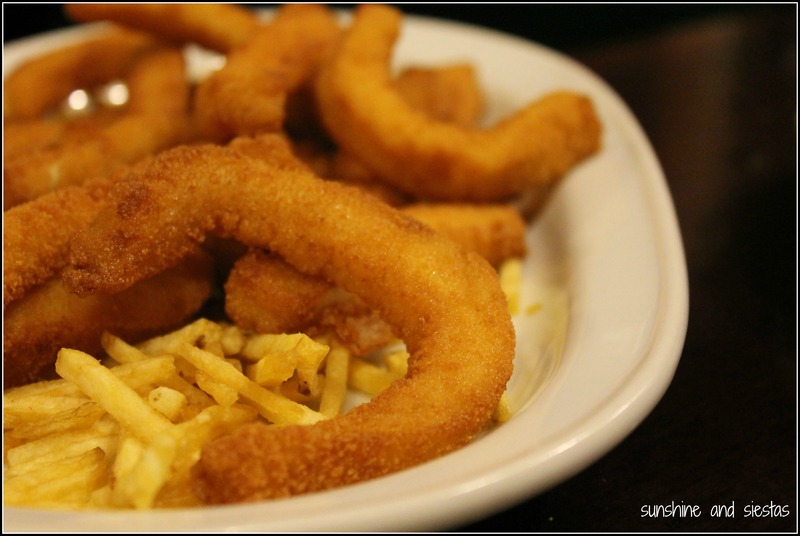 my favourite dish is pescaito…i am curious to know what baby squids mean there in Andalucia, i mean, here in Murcia we do have two different dishes, one is “chopitos” and the other one is “chipirones”, and you know what? both are baby squids and yet they are different….chopitos are really very small, whereas chipirones are not so small, but still baby and not so grown to call it a calamar. You’re making me miss Spanish food! Yep, not into the lard chunks, either, but they give off so much flavor! Come to think of it, puchero sounds really gross in general!